Foodpanda - Get delicious food delivered to your door in 4 simple steps. Foodpanda.pk has been around on all over social media for quite a sometimes. You might have not heard of foodpanda before and how it works. 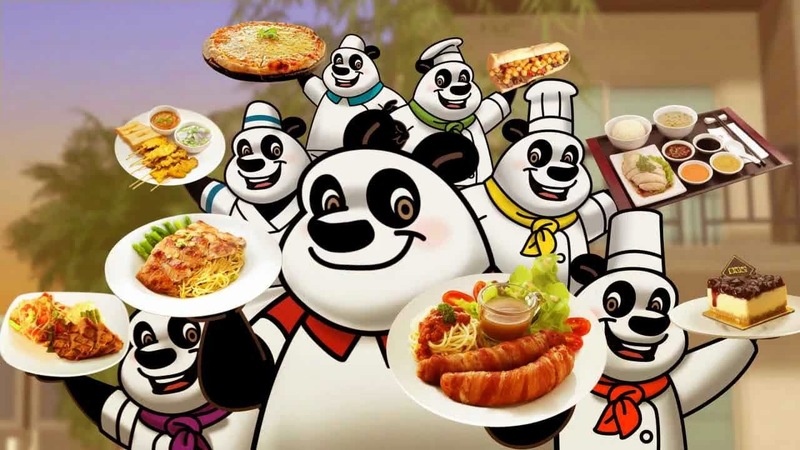 Foodpanda founded in 2012 and is a global online food marketplace where people can discover, choose and order from widest range available from their famous city restaurants and can placed order from the mobile app. Foodpanda amazingly progressed in just two years and operating in 40 countries in five continents. They teamed up more than 800 people and partnered with more than 30,000 restaurants across the world with active service in 500 cities of the world. Foodpanda introduced their service in Pakistan lately. I have been wondering what is it, but after looking around I got to know about foodpanda that it is a food delivery service and collect your favourite food from the best restaurants of your city and deliver at your doorstep just in few steps. It's really fun with ordering foodpanda app. Download the app foodpanda.pk, enter your postal code, choose a cuisine or restaurant, decide to pay online or cash and select from an unlimited number of dishes. The app even suggests you which restaurant is the nearest to you, and all that by just one click. After you just have to wait for your order to be delivered. Ordering online was never such convenient before ordering via foodpanda is very easy and fun just in four easy steps you can have your desired food at you doorstep. Moreover foodpanda makes it more convenient with its free foodpanda mobile application for iOS, Android and Windows Phone, allows you to order food online any time from anywhere. Whichever food you currently desire, they have the largest selection of restaurants for us to choose from when you are feeling lazy or not in mood to cook? Android A food delivering service is a solution for my all lovely ladies around. A wonderful thing about foodpanda is we can pay cash on delivery time which makes it very safe and everyone can order without owning a credit cards in Pakistan.Foodpands service is currently available in nine cities of Pakistan including Lahore, Islamabad, Rawalpindi and Karachi.